Bạn có thắc mắc về Wyndham Grand à? Được tu sửa lại năm 2015, Wyndham Grand bảo đảm mang đến cho quý khách sự hài lòng dù đang ở Thẩm Quyến để công tác hay nghỉ dưỡng. Khách sạn nằm cách trung tâm thành phố 6 km và dễ dàng tiếp cận các địa điểm khác trong thành phố. Với vị trí thuận lợi, khách sạn dễ dàng tiếp cận những điểm tham quan du lịch nổi tiếng của thành phố. Wyndham Grand mang lại dịch vụ hoàn hảo, làm hài lòng cả những vị khách khó tính nhất với những tiện nghi sang trọng tuyệt vời. Có thể kể tên một vài tiện nghi ở khách sạn như dịch vụ phòng 24 giờ, miễn phí wifi tất cả các phòng, an ninh 24 giờ, quầy lễ tân 24 giờ, tiện nghi cho người khuyết tật. Khách sạn rất chú ý đến việc trang bị đầy đủ tiện nghi để đạt được sự thoải mái và tiện lợi nhất. Trong một số phòng, khách hàng có thể thấy tivi màn hình phẳng, vật dụng dọn vệ sinh, giá treo quần áo, trà miễn phí, nước uống chào đón miễn phí. Khách sạn còn gợi ý cho bạn những hoạt động vui chơi giải trí bảo đảm bạn luôn thấy hứng thú trong suốt kỳ nghỉ. Wyndham Grand là nơi dừng chân chất lượng cao tại Thẩm Quyến. The hotel is at perfect location (10mins walk from a few malls for food and shopping), and is right beside an MTR station. However the rooms are a bit old from wear and tear as compared to our previous stay two years ago. Lifts are slow and most importantly avoid the rooms closer to staff resting/cleaning equipment storage since soundproof isn’t that great. I love the room so much, very clean, comfort bed, nice view from the room, easy access to metro and malls. Staff is super friendly. Arriving at the hotel late and tiring, but Thanks for the nice staff Ms. Kate Yi, we were able to get free upgrade to executive room , we enjoyed the nice city night view and the big bath tub so much :) clean and spacious room with a mall with nice food nearby , nice one! Room was not ready at 4pm but Rachel was able to give us an upgrade so we don’t need to wait for another hour. Friendly service but limited English speaking staff. One thing that’s lacking for a 5 star hotel: no sauna or steam room in the hotel?! 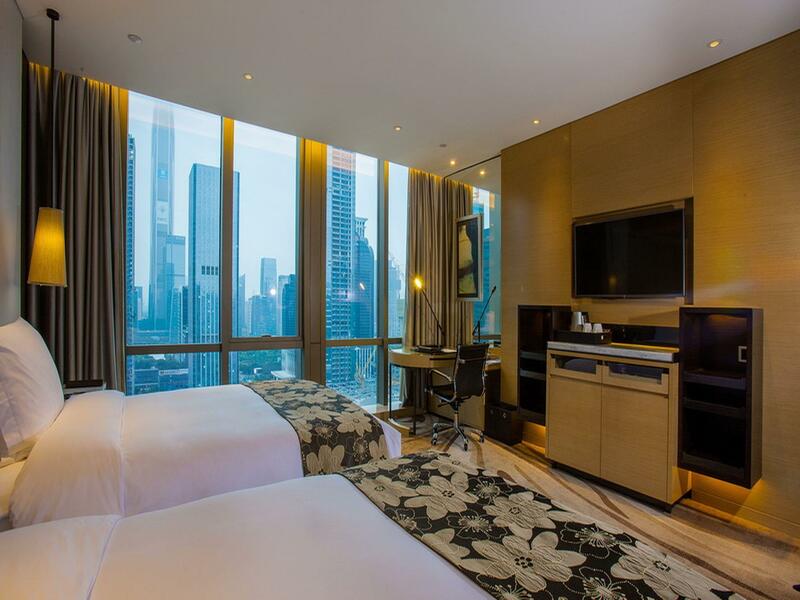 This hotel is in a very good location, just near the SZ MTR station. Many shopping malls around this hotel. Hotel staff is nice and helpful, esp. the front desk staff Fanny Yang. She is so helpful and work very efficiently. 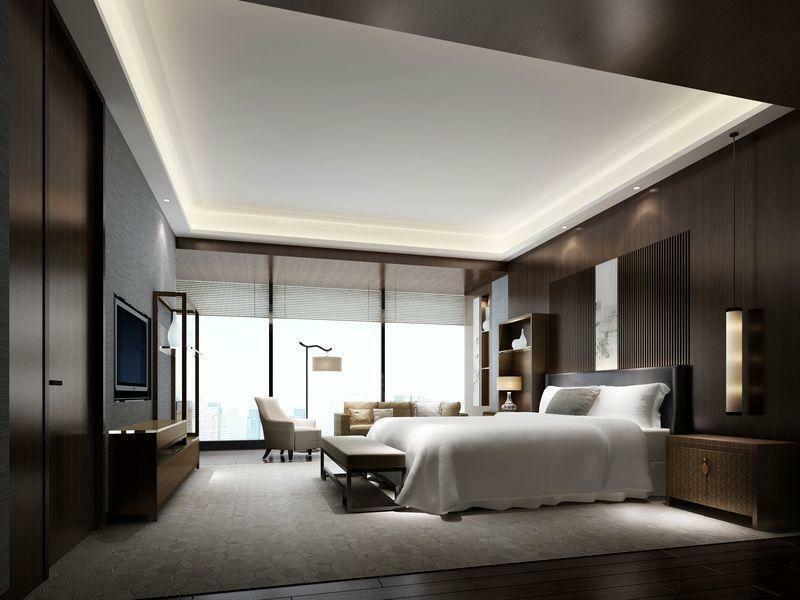 Thank you for taking the time to tell us about your experience at Wyndham Grand Shenzhen. It is always a pleasure to receive positive feedback. I am particularly pleased that you are satisfied with your stay with us, I will share your feedback with our team, who I am certain will be encouraged by your remarks. Here at Wyndham Grand, we continuously strive to exceed your expectations. Thank you again for sharing your experience, and we look forward to serving you in the future. This is my second stay and again exceeded my expectations. Initially, we have a reservation for a "Deluxe King" room, as we approached for check-in the front desk staff (her name was Ningal) gratefully offered a room upgrade for no reason at all. Check in process was smooth and quick thanks to her. We later discovered the room was actually a "Deluxe Suite" or "Deluxe Executive" in which we couldnt be more pleased. Excellent ceiling height, spacious room, comfy bed with a nice coffee machine to fill up our morning. I dont normally place reviews but this definitely deserves a 10/10. Kate helped us check in and the process is smooth and she is very helpful. The location is nice and the price is affordable. I recommend the hotel when staying in Shenzhen. Complimentary upgrade to next category of room - high ceiling and awesome nightview esp when evening LED lights display lid up daily at 7pm, & 8pm. Location is steps away from Gangxia station make traveling convenient. Very good hotel, comfortable room with good facilities. Ongoing metro works outside can be noisy including at night. Close to subway and numerous restaurants. Staffs are generally good communicators. Definitely give it a try. 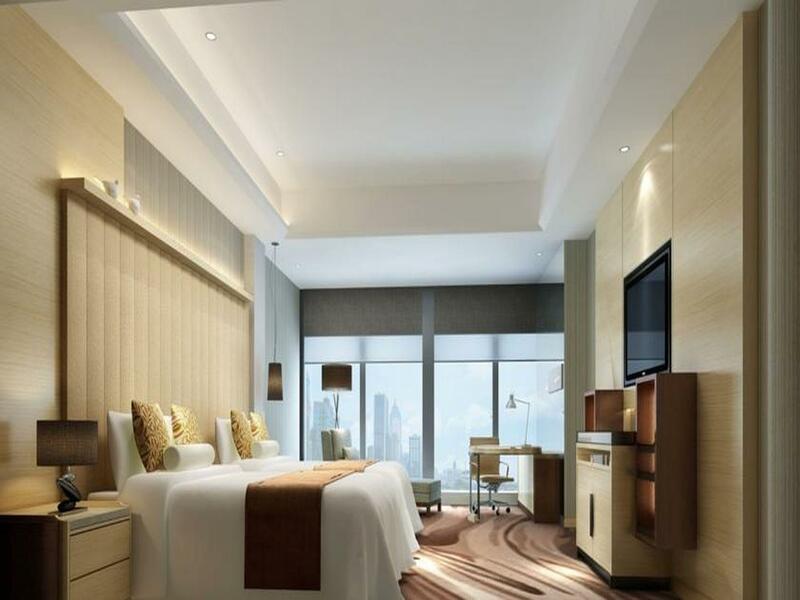 Wyndham Grand is located in the middle of CBD Futian. 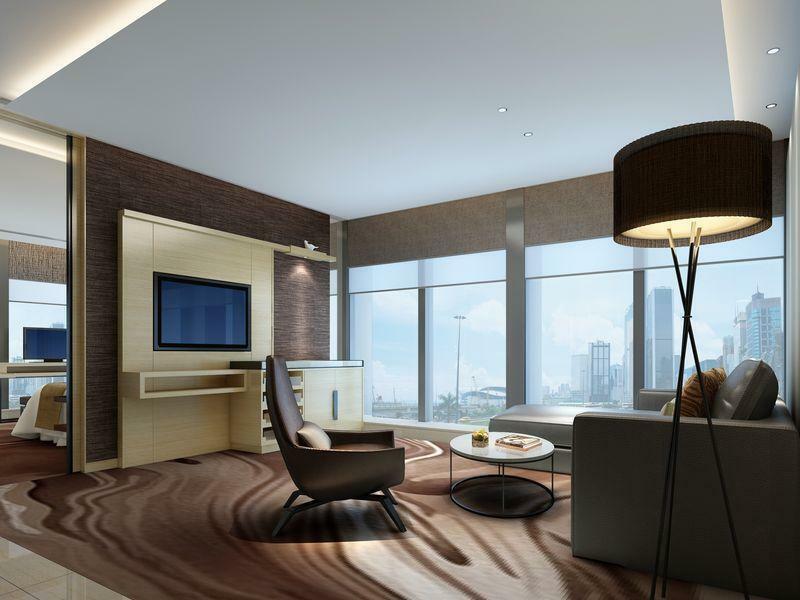 It’s easy to access to nearby shopping malls and restaurants. Rooms are spacious and have great views of SZ. Thanks for their upgraded to the Deluxe room for us, which having a very good view, high ceiling, big bath and so on. There is very good location, near to MTR, easy to find. 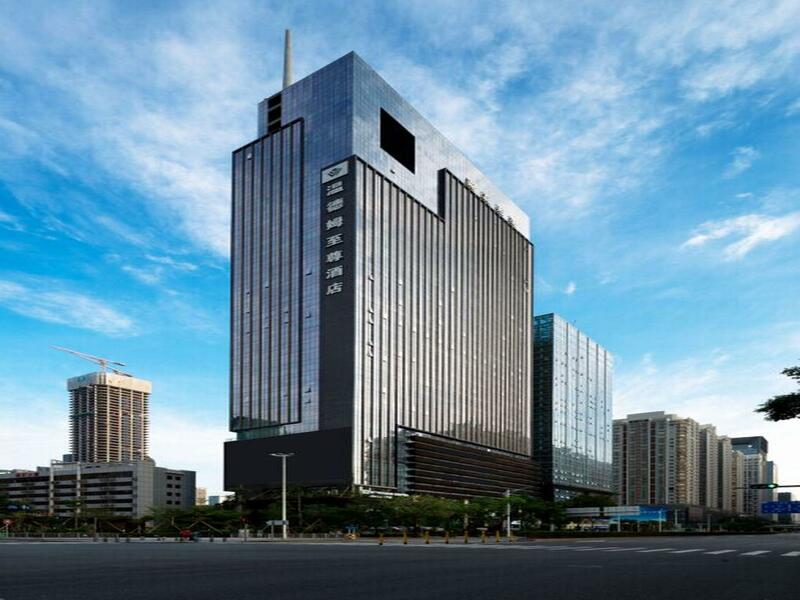 The location of the hotel was a bit far from CBD of Shenzhen, but it's just only about 10 mins. walking distance from the nearest subway station and shopping mall. The hotel itself was very cozy, staff were very friendly at the check-in counter with very efficient, professional manner. The room was great in size, very clean bathroom and beddings. Highly recommended if you want to spend a day or two in Shenzhen for a short trip! Very good hotel, nice rooms, shower, bed etc, very near Gangxia subway station, however terrible location for western visitor if you want any decent restaurants within reasonable walking distance. If that's not an issue definitely stay here. Nice and excellent hotel. 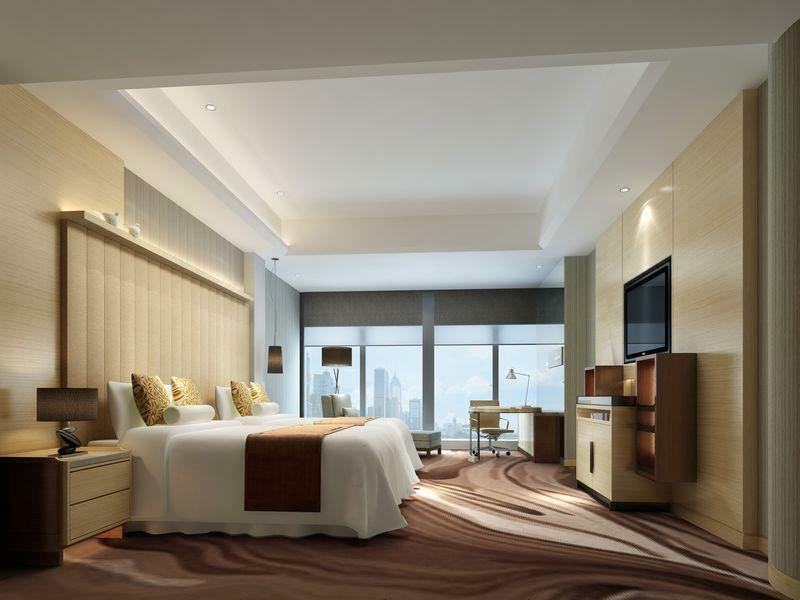 Comfortable big room with good facilities. Great service very friendly staff Fanny yang , 5mins walk from Gangxia station and a shopping mall with popular restaurants . Highly recommended! Dear Lee， Thank you for taking the time to tell us about your experience at Wyndham Grand Shenzhen. It is always a pleasure to receive positive feedback. I am particularly pleased that you are satisfied with your stay with us, I will share your feedback with our team, who I am certain will be encouraged by your remarks. Here at Wyndham Grand, we continuously strive to exceed your expectations. Thank you again for sharing your experience, and we look forward to serving you in the future. Quite convenient location. Lobby is relatively small. Staff is nice and friendly, but not very good at Cantonese and English though. Room (#3020) first assigned to me is unsatisfactory : smoking smell in a non-smoking room, poor air-conditioning, and an awkward toilet door (I believe the handle was mis-installed, since the door cannot be fully opened, and one has to lean to squeeze in). I requested for a room-exchange, and staff responded friendly and efficiently. The new room is much more impressive ! Clean and spacious, good air-conditioning, comfortable quilt and bedding, and an extra large bath tub. (A slight design flaw is that the electric blind beside the bathtub cannot be fully lowered, since it's obstructed by part of the wall). Decent food (breakfast). The executive lounge offers a relaxing vibe, and an excellent view of the city - not to be missed if you're not in a rush. Dear Pan, Thanks for choosing to stay in our hotel and leave us the very positive and practical comments. We really appreciate it. And we are happy to know that you are satisfied with our breakfast and room, it’s an encouragement for our team, and we will try very hard to do much better in the future. Yes, we need to keep improving our English ability, thank you for the very practical suggestion. We looking forward to welcoming you soon. The hotel is just a 5-minute walk from metro and a shopping mall with popular restaurants. Great service provided by friendly and helpful staff, especially for Kate Yi, who helped us look for available room since we arrived a bit earlier for check-in. Our room was upgraded to an executive room with stunning view. We had a nice and comfy stay at the hotel. Dear Chun, Thank you for taking the time to tell us about your experience at Wyndham Grand Shenzhen. It is always a pleasure to receive positive feedback. I am particularly pleased that you are satisfied with your stay with us, I will share your feedback with our team, who I am certain will be encouraged by your remarks. Here at Wyndham Grand, we continuously strive to exceed your expectations. Thank you again for sharing your experience, and we look forward to serving you in the future. Nice and excellent hotel. Was upgraded to the executive suite with slight additional fees. The upgrade includes the breakfast for 2. The room is very spacious and the bed is very comfortable. Took the MTR from airport to the hotel. (However I mentioned the wrong station and alighted at the Convention Centre Station) Should alight at Gangsha station. Journey only took around less than 40mins. Although hotel is within walking distance to the convention centre, will not recommend if you are going to be walk around the convention centre the whole day as your legs will be tired after visiting the exhibition and dread to walk back to the hotel. Dear Wendy， Thank you for taking the time to tell us about your experience at Wyndham Grand Shenzhen. It is always a pleasure to receive positive feedback. I am particularly pleased that you are satisfied with your stay with us, I will share your feedback with our team, who I am certain will be encouraged by your remarks. Here at Wyndham Grand, we continuously strive to exceed your expectations. Thank you again for sharing your experience, and we look forward to serving you in the future. Very nice location, room and staff.